When I’m standing on the edge of a cliff, I dream of rappelling down it or climbing up it. When I’m high atop a building, I envision a zipline to whisk me down to the ground. My mind is always focused on the extreme adventure; I feel most at home when my adrenaline is pumping and my heart is racing. I long for the unknown. Being at a place like Cape Enrage in New Brunswick that offers wild adventures is my idea of home. We started the day today with rappelling and I’d forgotten how comfortable I was in uncomfortable situations. Standing on the platform with my feet wide and my legs straight, I prepared myself to step off. I was about to rappel 148 feet to the ground and as much as my mind was telling me not to look down, I wanted the added fear of seeing just how far I could fall. I had to do it. I looked. For several seconds, I soaked in the intensity. It’s never that I’m not afraid to do something; it’s that I revel in the fear. Looking added to the fear. It delayed my movements, yet added to the adventure at the same time. Once over the edge, my uncomfortableness calmed and I thought about how to get it back. I reached another ledge and swung my feet up on the line. 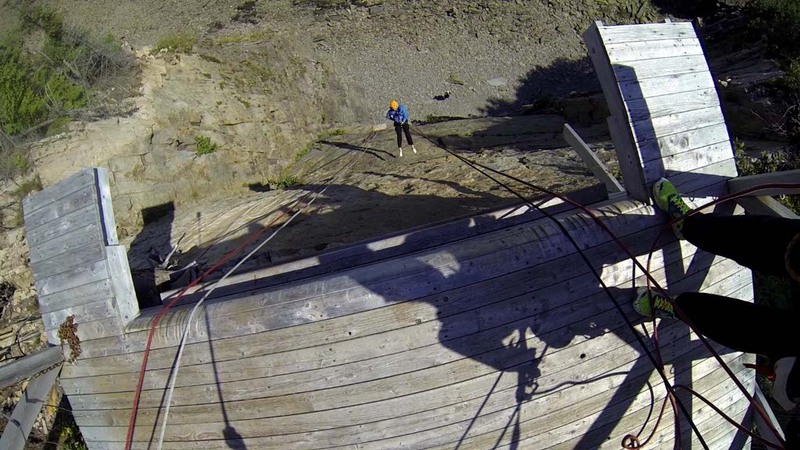 Continuing the final 40 feet upside down increased my adrenaline. 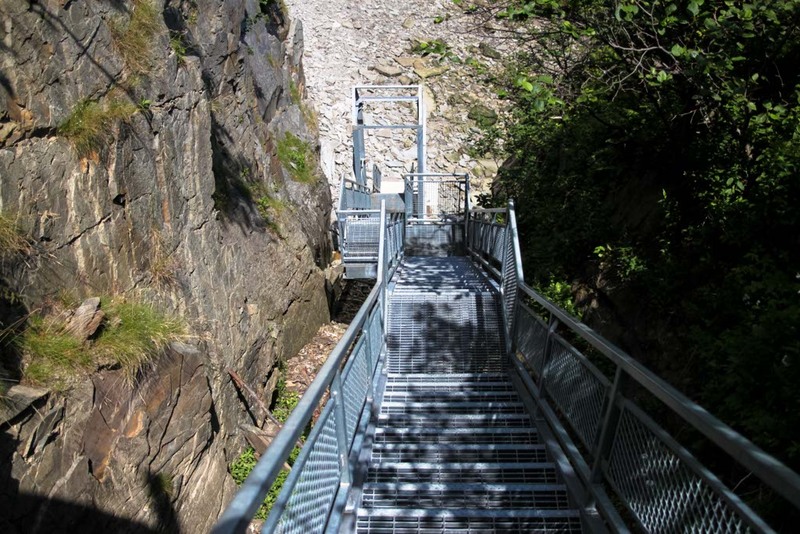 The climb back to the rappel included roughly 150 steep stairs, but I had just rappelled down a cliff. I could have run up the stairs with all of the adrenaline pumping through my body. Each of my rappels was similar but I added an additional element of adventure to each decent. Taking larger leaps, hanging out on the edge, swinging, and spinning upside down kept me excited about every second of the adventure. 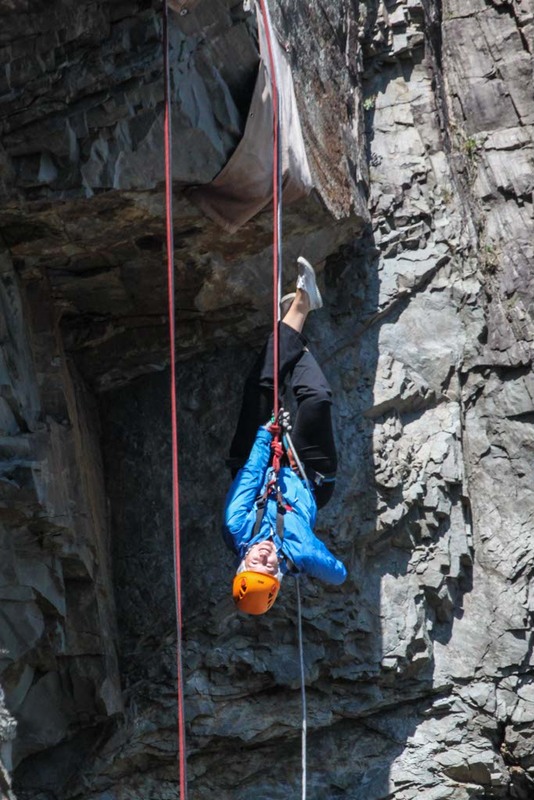 I would have been beaming for a week after such an eventful, exciting experience but without even missing a beat, we were geared up for ziplining and the Cape Enrage thrills continued. 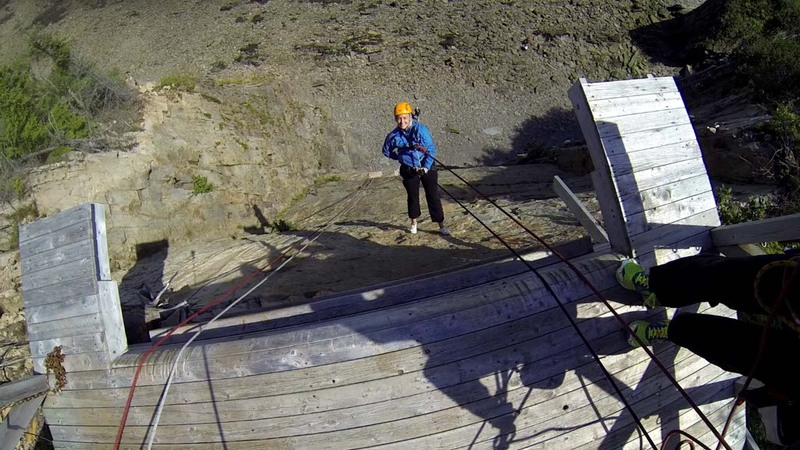 Read about our ziplining adventures at Extreme Bucket List Style in New Brunswick. Thanks Captured Emotion Images for freeing me of a camera today and getting some sweet action shots. I seek adventure, too. Loved reading about yours. Wow. Just wow. 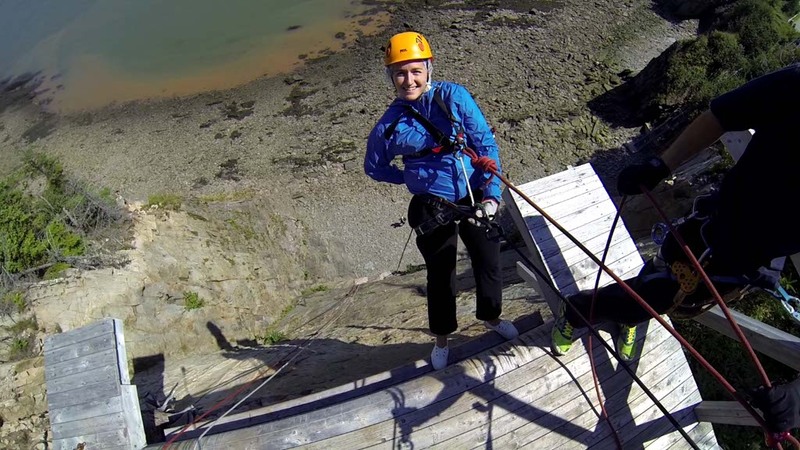 There is no way I would be able to do such adventurous rappelling tricks!! Just stepping off the ledge makes me nervous let alone making my way upside down!! Pretty awesome stuff! Love the name…Cape Enrage.I can’t do what you do,now or when I was younger.Thanks for the vicarious experience! Love the title, I feel like I can relate haha. Cape Engage looks like a fun place to try new adventures. What else are you going to get up to in New Brunswick? That looks like so much fun! I love when an experience includes photography! I always want a record of my adventures, and so love that you didn’t have to worry about a camera! I’ve done some adventurous stuff, including rappelling off Table Mountain in Cape Town, South Africa. I wouldn’t say I crave that adrenaline though. I just try to push myself to do something out of the ordinary once in awhile lol. I don’t think I could rappel upside down! This sound slike so much fun!! I too am comfortable in uncomfortable situations. Surprisingly a little anxious with heights at first, though once I realize how safe I am in the ropes in a situation like rappelling I’m golden and absolutely love it. 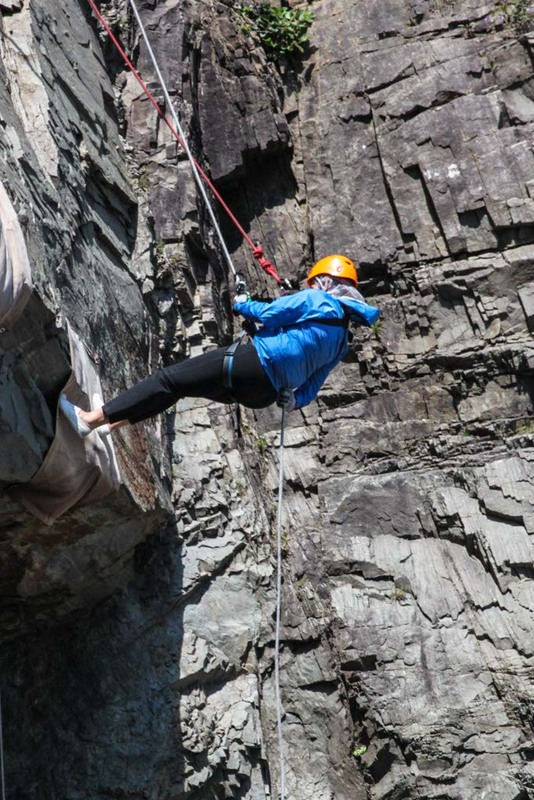 You should totally check out the Gordon Dam abseil if you’re hitting up Australia anytime soon – highest commercial abseil in the world – totally amazing!! That photography is amazing. I got a little nervous just looking at it. I’ve never tried repelling before, but I don’t know if I’d be that brave! I never would have thought of New Brunswick as having many extreme activities. Looks like that was fun. I hope to do an east coast road trip when I’m back in Canada. I’ll keep in mind, although it will be winter when I’m there haha.